Here are this year's Crown Communities. Projects submitted for consideration are judged on uniqueness, short- and long-term value to the community and effective/innovative financing. 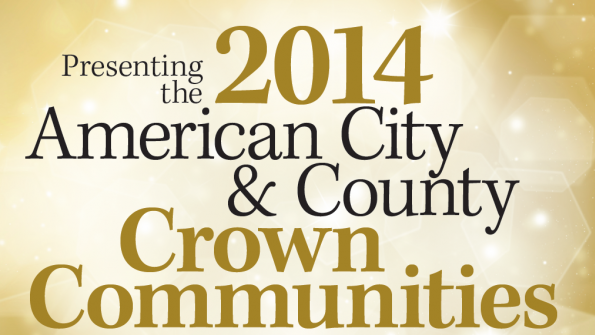 Here are this year's Crown Communities. Projects were evaluated for uniqueness, short- and long-term value to the community and effective/innovative financing. 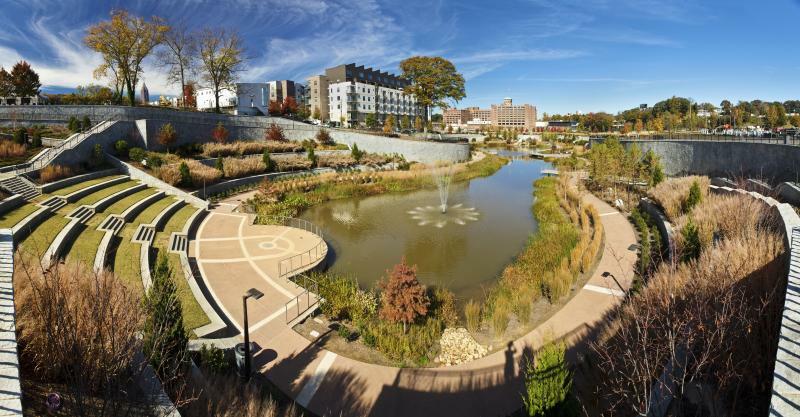 From an idea developed in a student’s master’s thesis in 1999, the Atlanta Beltline has emerged as a focus for recreation, economic development and transportation throughout the entire metropolitan area. Once completed, the project will create a network of public parks, multi-use trains and transit along a historic 22-mile railroad corridor, circling downtown and connecting many neighborhoods to each other. “From just a grassroots movement, Atlanta Beltline has become the force for the construction of a massive infrastructure in our community,” says Jenny Odom, communications and media relations manager. For its potential to transform the city of Atlanta, and especially for its completion of the development of over 1,300 acres of park land, the Atlanta Beltline has been designated a Crown Community for Parks. Originally proposed as a concept by urban planning master’s candidate Ryan Gravel, the Beltline was conceived as a means of creating a walkable city, relieved of the relentless traffic jams that have become part of daily city life. The Atlanta Beltline Partnership was created in 2005 to combine public and private forces seeking to launch the project. The Atlanta City Council approved the project in 2006. Using land available from four abandoned rail lines that circle the city, the BeltLine will ultimately develop pedestrian-friendly rail transit and 33 miles of multi-use trails. The completion of the Atlanta BeltLine will bring together 45 in-town neighborhoods and also link them to the entire metropolitan Atlanta region, partly through connections to the city’s downtown streetcar project. The project has already completed more than 11 of the 33 miles of planned trail, six parks totaling 1,300 acres of 2,400 planned acres and over 100 of 5,500 planned units of affordable housing. As a sign of acceptance, more than 20,000 visitors weekly, at a pace of 1 million per year, are enjoying newly opened Eastside Trail. The city estimates that the transit loop will be completed within 10 years. City officials also anticipate that the project will spur billions of dollars more in investment by private developers as well as more than 30,000 permanent jobs.